Chop onions, chillies and tomatoes. Mix the grated paneer with chopped vegetables, salt, red chilli powder and keep aside. Take two bread slices and butter them, put some paneer mixture on one slice and cover it with other bread slice. 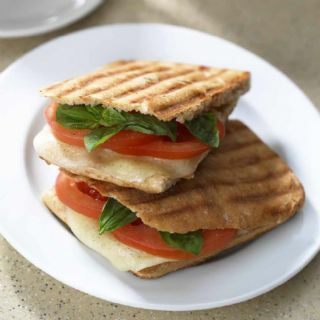 Put this in sandwich toaster until the bread turns crispy and brown.